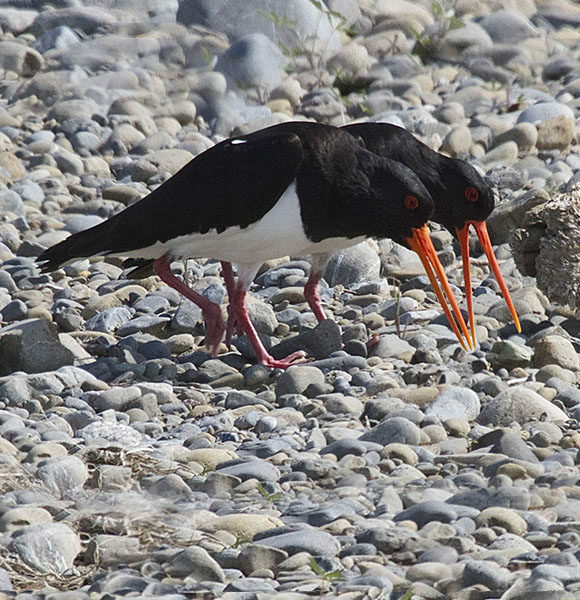 One of two species of oystercatcher in New Zealand, the endemic South Island pied oystercatcher – tōrea is also known as the New Zealand pied oystercatcher, Finsch’s oystercatcher, and more commonly called SIPO. They usually breed August-January inland in the South Island, mainly east of the Southern Alps on riverbeds and farmland, in sand scrapes on farmland or gravel banks in braided rivers. They are also known to breed on high country grasslands and in coastal areas adjacent to estuaries and lagoons where they are also found during the non-breeding season. They eat a lot of things, like this shellfish, but they never eat oysters! 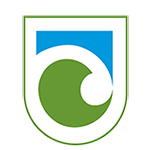 In coastal areas they are commonly seen feeding in bivalves (hence their name), small crustaceans, cnidarians (jellyfish) and fish, but they never, ever eat oysters! Further inlands they have been seen feeding on worms and small beetles. 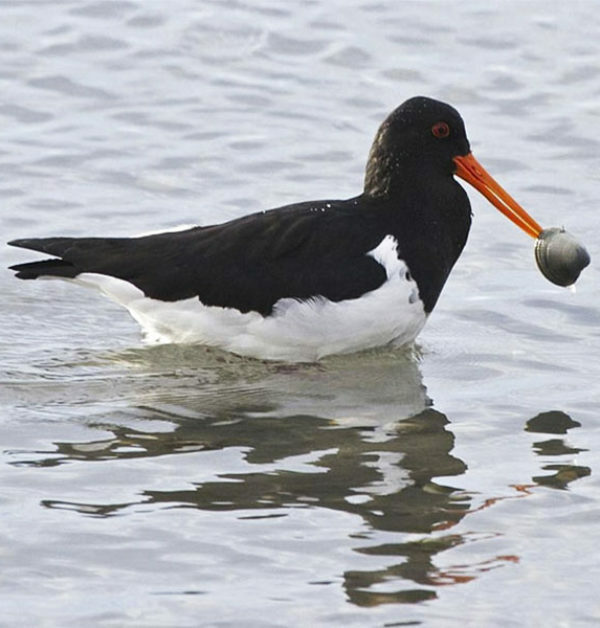 Measuring 46cm long and weighing between 550gm, the SIPO is a large, solidly built wading bird with a black back, black head, and black wings, with a clear delineation marking the white breast, a long bright orange bill, orange eyes, and stocky pink legs. The sexes are similar. Juveniles have a brownish tinge to their plumage, dusky red bill and dull pink legs. Their eggs are blotched dark and pale brown. The photo at left shows their simply nest, with two blotched pale brown eggs laid directly on the dry gravel section of the braidplain (bottom of the photo). The birds are undisturbed by the gravel extractors, Taggart Earthmoving, who are also a member of the Ashley Rivercare Group. The drivers are aware the birds are nesting here and take care around them. 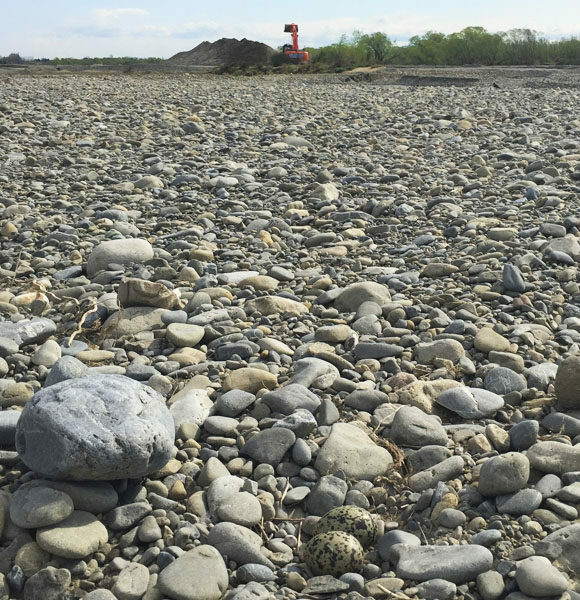 This is the kind of positive relationship that has been built by members of the community, where commercial users of the river are also stewards of the environment they share with the birds. The photo below shows their simple nest, with two blotched pale brown eggs laid directly on the dry gravel section of the braidplain (bottom of the photo). The birds are undisturbed by the gravel extractors, Taggart Earthmoving, who are also a member of the Ashley Rivercare Group. The drivers are aware the birds are nesting here and take care around them.